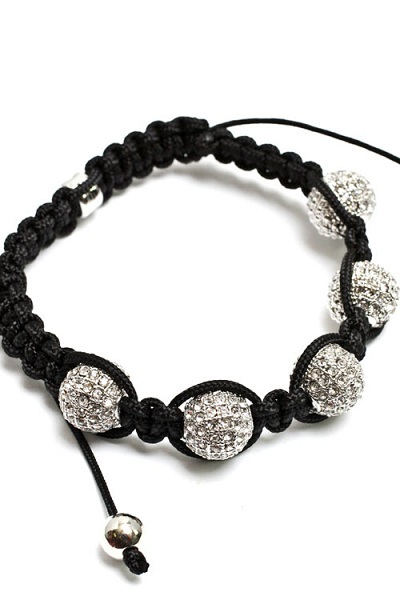 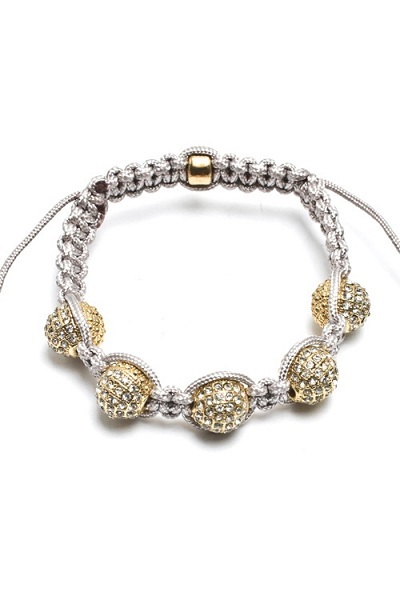 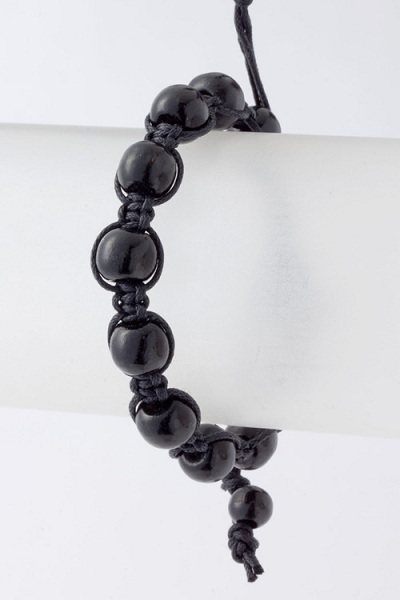 Exquisite 5 Jewel ball bead Shamballa-style bracelet represents ancient Buddhist ideals of balance, peace & love. 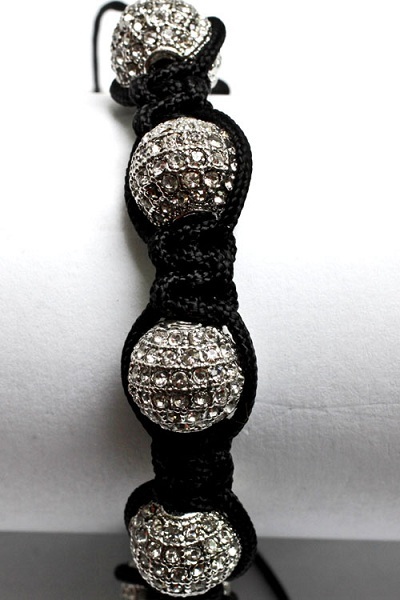 Black macrame cord with adjustable knot. 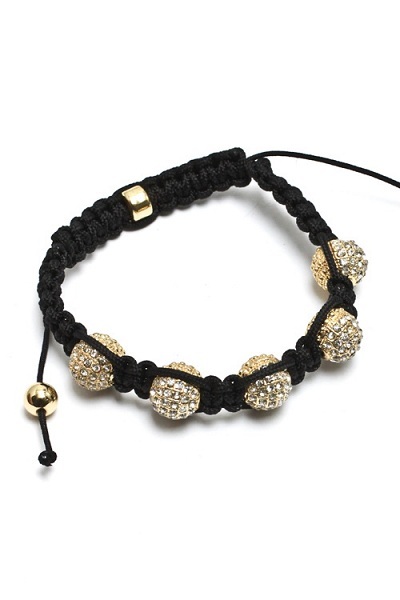 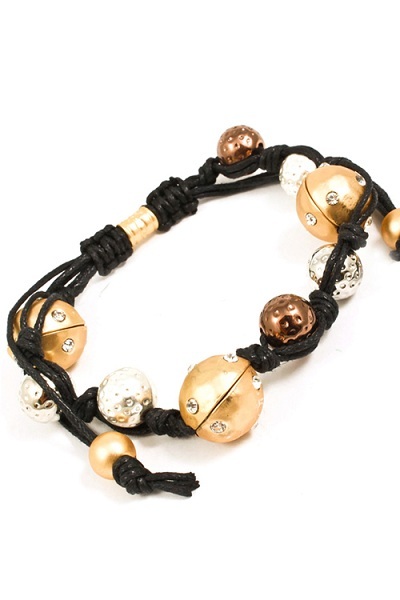 Available in Gold or Silver jewel ball beads. 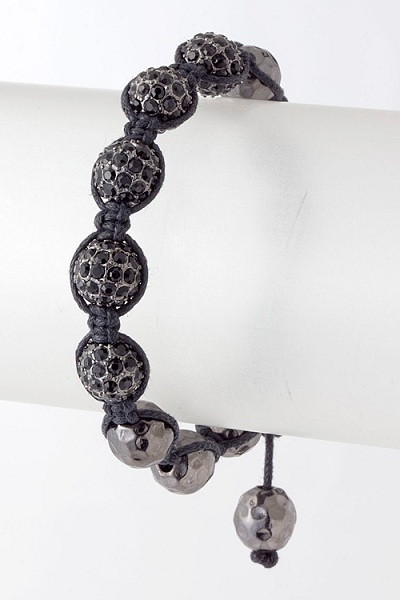 See also Enlightened Gray Cord version.